Did you eat too much chips and dip at that Super Bowl party? I’ve got the perfect cleanse for you. 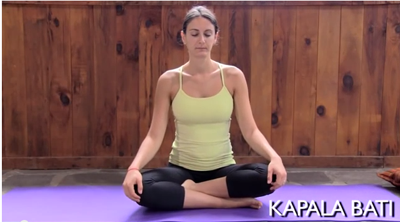 It’s a yogic breathing technique that’s cleansing and gets the digestive fire moving. First thing in the morning, before you wake up – practice this exercise (watch the video above). It only takes 5 minutes to do and it’s totally worth your time. Then take a probiotic vitamin, drink warm water with lemon and start your day off right.